I have two races scheduled this spring: a full marathon in April and an ultramarathon (62 kilometers) in June. I have my training in place for the first race, but how should I continue to prepare for the second? Assuming that you trained systematically for the first full marathon, you should be able to springboard off that training for the second ultramarathon. With 20 added kilometers in that second race and close to 10 weeks more of training, my fuzzy math suggests that all you need to do is continue your long-run mileage progression approximately two kilometers a week (approximately a mile or more a week for those who think in yards, rather than meters). In other words, same training; just allow the miles to continue building. But, if you had contacted me several months earlier, my advice might have been different. I would have asked, which of the two races is most important to you. 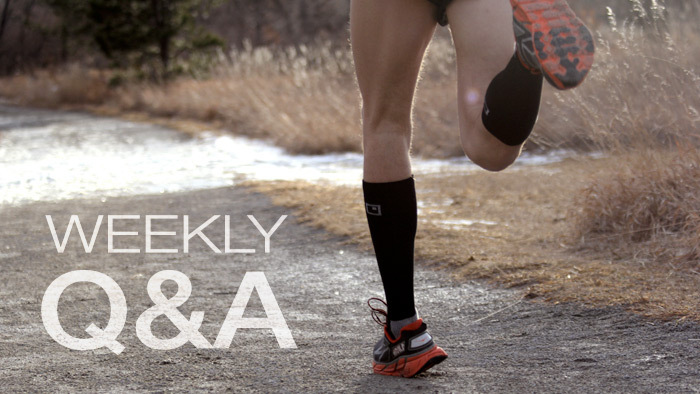 Do you want to focus on the marathon, then run the ultra as an afterthought? Or do you want to consider the marathon merely a longer than usual training run that will prepare you for the ultra? If you choose as your most important race the marathon, then any standard training program will do, then add the extra miles as already suggested. But if you choose the ultra as your prime goal, then I would pick a training program designed by ultrarunners for ultrarunners. That’s not me. Although I have run two ultras with mixed results and on another occasion ran the length of the state of Indiana (350 miles) in ten days, I try not to pose as an expert on what happens once you cross into the Dark Side where 26 miles becomes only a mark on a longer road. Good luck when you pass over that mark.